We are in the process of selecting next year’s PTG board. Thanks to Mrs. Ketterer and her committee for assisting in this endeavor. If you are interested in joining the Board next year, please complete the self nominating form which is attached to this brief. There are lots of exciting events planned for the upcoming months. Please stay informed by visiting our website http://www.wssptg.com, reading our briefs and attending our meetings. We look forward to seeing everyone at our next PTG meeting on Monday, March 6th @9:30am. We will have some of our 6th graders share some of their writing with us on Monday. We hope to have a huge crowd at the meeting to support our children. CSH Educational Foundation-The countdown has begun! Journey with the Cold Spring Harbor Educational Foundation for the Third Annual Power of Partnership (POP!) Party, Friday, March 10th from 7-11 PM at the Vanderbilt Museum. Proceeds benefit all CSH Schools. Visit http://cshedfoundation.com/pop for more information. 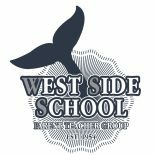 WSS Movie Night- Please join us for West Side School’s movie night on Friday, March 24, 2017 at 5 p.m. We will be showing “Finding Dory” Enjoy pizza and popcornwhile you watch a great movie with your friends. Dress in PJ’s and don’t forget your pillow! This event is for WSS students and their siblings only. Parental supervision is required for all attending-No Drops Offs Please. All WSS students will have a chance to win a raffle prize. Students must be in attendance in order to be eligible to win a prize. Any questions, please contact Rita McCarey at rmccarey@gmail.com. See you at the movie! Friday, March 24th 12:30-2:00 (half day of school) West Side School Cafeteria. Students will be assembling meal bags for HIHI (The Huntington Interfaith Homeless Initiative). Bags will be distributed by Family Service League to residents in Huntington and Huntington Station. This is a great way for students to mingle and do some good for the community! Pizza will be served. See flyer below. This entry was posted on March 3, 2017 by wssptg in Brief.